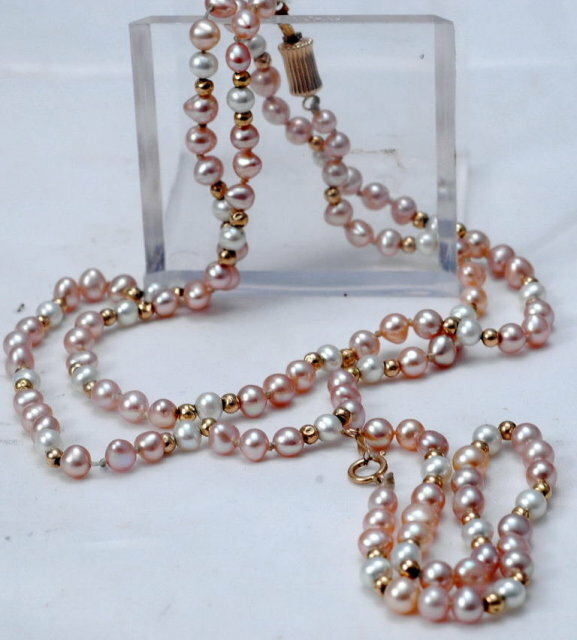 Lovely Baroque Pearls & 14K Gold beads in this Demi Parure set. 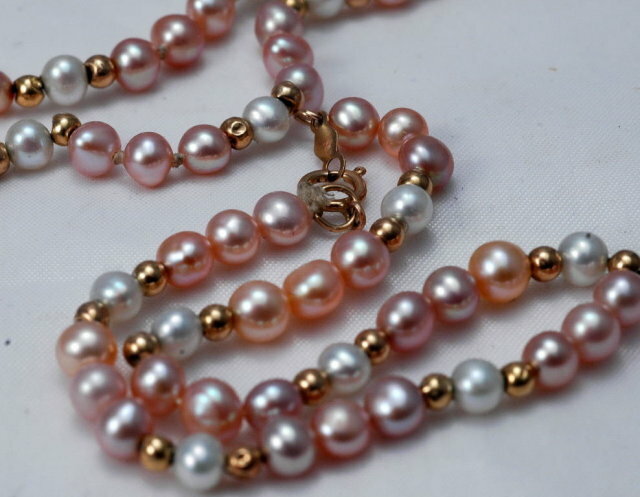 The pearls are white and pink and are approximately 5mm each. The necklace is 23.25" long. The bracelet is 8". The necklace has an interesting clasp but bracelet has a different clasp. The condition is very good. Some of the gold beads have dents. 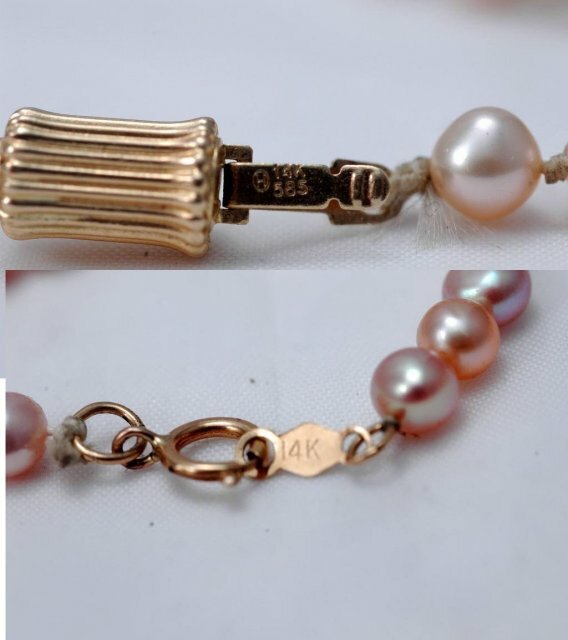 Items Similar To "14K Gold Beads & Baroque Pearl Demi Parure Braclet & Necklace "